Well hello to you my reader chums! With another month coming to an end, monthly favourites time has sprung up again. September swept by extremely fast and Autumn has just arrived, a season I'm very excited about! It's the time of year for cosy jumpers, hot chocolates, berry lips, film evenings and most importantly the lead up to Christmas, I can't wait. As the month went rather quick, there's only been a couple of products I've been obsessing over, however I'm excited to share them with you. My first favourites are two Mac eye shadows. Over the past few weeks everyday, I've been swearing by the eye shadow combination of 'amber lights' and 'temptation' without fail. Since the cooler months have began, I think a copper/gold shade is perfect for the eyes because it really reminds me of the fallen leaves off the trees. I paired it with 'temptation' to add definition and warmth to the the eye. 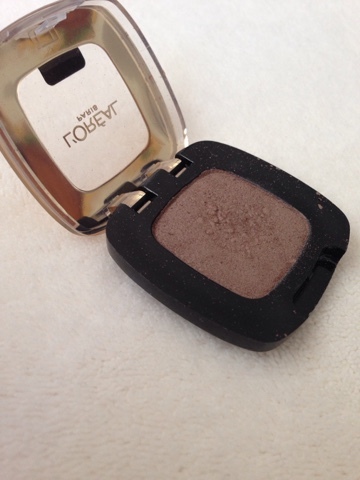 As 'amber lights' has gold undertones, it helps brings out my blue eyes, complimenting my makeup look. I adore how rich 'amber lights' is when applied with intense pigmentation and blending ability. 'Temptation',however is not as pigmented yet it's a very build-able matte brown colour, ideal to layer for definition. 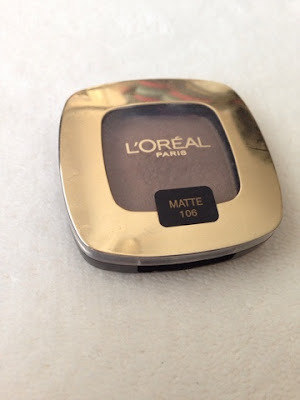 The next favourite is another eye shadow and its L'oreal's in number 106. I picked this up around the beginning of September as the usual colour I use on my brows was hitting pan and I thought I would try out a new shade. When purchasing a couple of eye liners to stock up I got this in a 3 for 2 deal to test out. 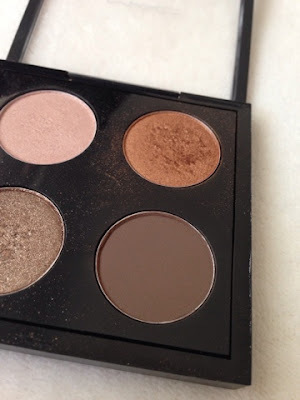 The colour is quite a brown, taupe grey, similar to 'Frisk', the everyday shade from Naked 2's basics palette. For eye brows I tend to prefer using a shadow, setting it with clear gel rather than a pencil because I find it easier to control how much I'm putting on, making the overall look very natural. I don't like to go over the top with my brows and prefer just to enhance the natural shade, filling in the sparse areas. I've been loving this eye shadow for that particular reason this month because it holds enough pigmentation to do the job, yet isn't too dark to make the brows look unnatural. As it's a single product too, it's easy to put in my makeup bag and can double up as a transition or crease colour for eye shadow due to it being matte. 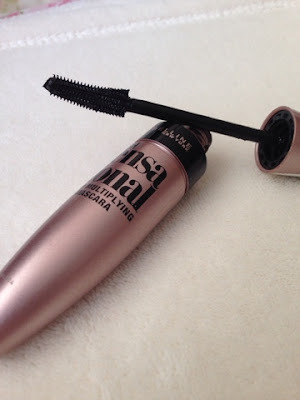 Another favourite this month has been a mascara. I received the 'False lashes' mascara from Mac as a sample when purchasing my palette in June. Up until the past few weeks I hadn't really used it, however I reached for it one day for my bottom lashes and fell in love. I love how it easily lengthens, separates and still makes the lashes look swish. 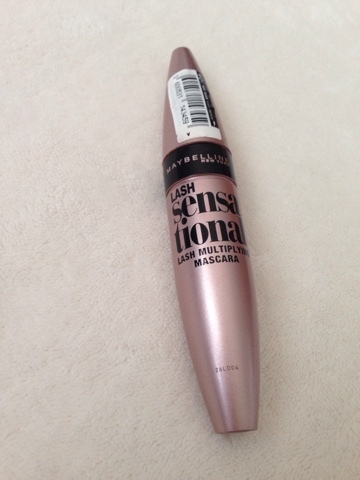 With other mascaras, they always seem to clump up, applying too much product onto the lashes. The brush as you can tell from the picture is the perfect size to get all the bottom lashes at once, holding just the amount of product needed. Another mascara I've been obsessing over for the past few months is the hyped up Maybelline's lash sensational mascara. I don't think I've mentioned this in a favourites post before which is crazy as its the only mascara I've found that truly works for me. I cannot even express to you how amazing it is and the hype it most certainly lives up to. 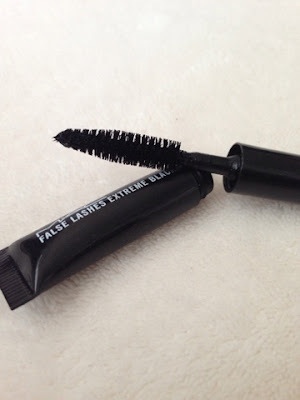 With mascaras, as my lashes don't curl very easily, it's hard to find one that keeps them curled and looking fab all day long, this one however does just that. I can apply it early morning and the curl would still be held until that evening! The mascara helps add volume, length and overall makes my eye lashes look fantastic. I've even had compliments on my eye lashes which is a rarity saying how long/curled they are! If you're like me and don't have lashes that hold a curl, this mascara is perfect for you. I'm pretty sure I've gone through a couple of these and am still thoroughly enjoying it. 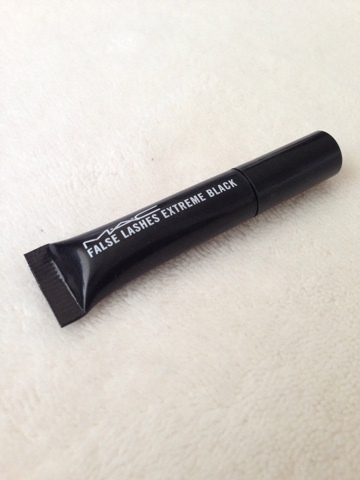 A must in anyone's makeup bag! The brush is plastic which I adore because it's very flexible to get to each lash and coat them easily. I like to apply several layers to achieve the full lash effect. 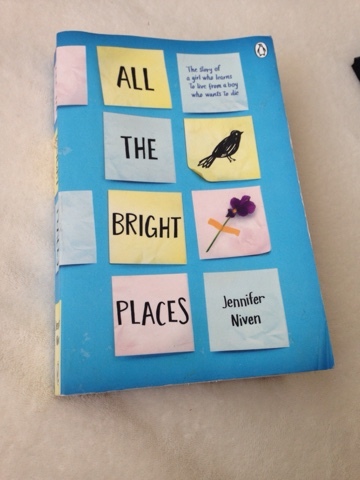 The last favourite is a book called 'All the Bright places'. Throughout the month, I've been dipping in and out this novel when I've had the chance to sit down to read and I'm hooked. I absolutely love the whole concept behind it, the characters, the way its written and how its changed between points of views. It's probably one of those books you can read in one sitting as it's so addictive. Sadly I haven't made the time to sit down and read big chunks of it, however reading through it, I've adored every page and am able to get straight back into the story easily. One of the focus points is mental health, an aspect which I'm quite passionate about. I think the way the author portrays the whole topic of mental health brings light and awareness to it and doesn't show it in a horrible way. It explains real emotions and feelings, making readers aware and understand. The whole plot line is based on Finch's and Violet's relationship, how it grows and everything that goes on in between. I've nearly come to the end of the novel and would really recommend it to anyone as there's not many books I get fall in love withthis quickly. I really want to get back into reading a lot more because it is one of my favourite hobbies! I'm a big bookworm at heart and sometimes just love to spend an evening tucked up with a great book. I hope you enjoyed this favourites post. 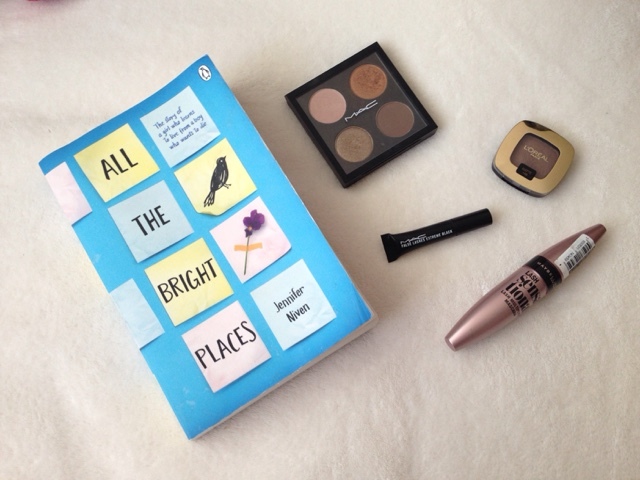 What products and books have you been loving this month? Anything to recommend? I love all these things! I cant wait to get my hands on that book because everyone is saying how good it is! 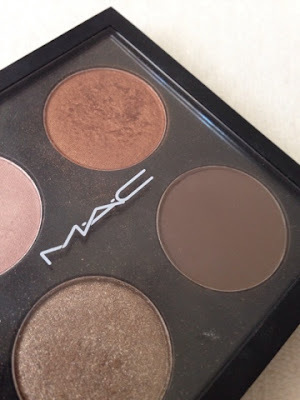 I love MAC, but I've never tried their eyeshadow! I might have to give it a try. Isn't it?! Loved every word! Maybelline mascaras are really really good!